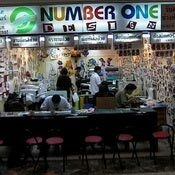 Originally named the Mahboonkrong Center it is generally known by the shorter name of "MBK Center". MBK Center has 8 floors with 2,500 shops and gets an average of 105,000 customers daily. 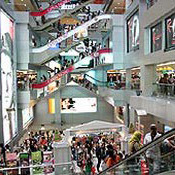 It is considered to be the most visited mall in the country with a mind-boggling range of inexpensive goods. 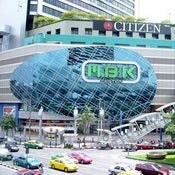 MBK Centre is located on land leased from the adjacent Chulalongkorn University and is a beehive of activity, especially on weekends. It's not as upmarket and stylish as neighbours Siam Discovery, Siam Centre and the glitzy Siam Paragon, but its considerably less expensive. 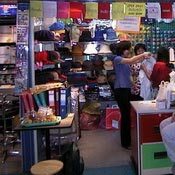 You can buy almost anything here from clothing, fashion accessories, handbags, leather products and luggage to furniture, mobile phones, electric appliances, cameras, stationery and DVD's. 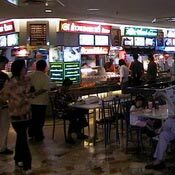 The complex includes SF Cinema City multiplex, karaoke rooms and bowling alley, internet cafes, gaming parlors, food courts as well as numerous restaurants and fast-food outlets. Also there are jewellers and gold dealers. 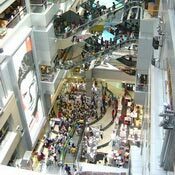 Tokyu department store is located at the northern end of MBK Center which connects directly with the BTS Skytrain at National Stadium Station while the Dusit Thani Group 's Pathumwan Princess Hotel is found at the southern end of the mall. 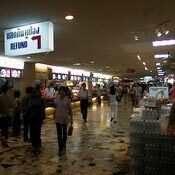 Siam Square can be accessed from the air-conditioned pedestrian bridge over Phaya Thai Road.